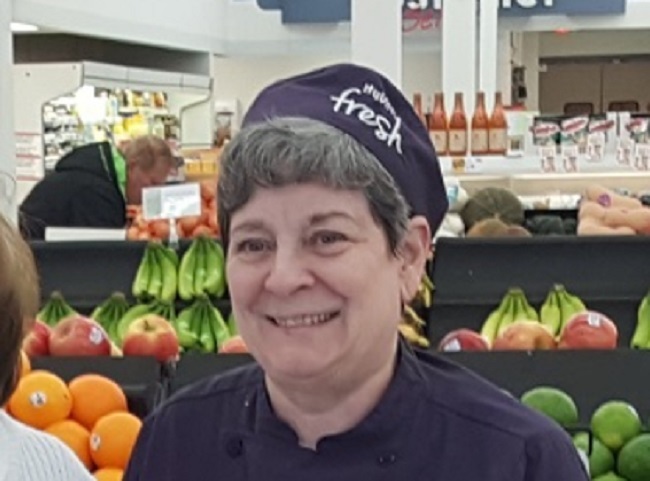 Karen Martin, a 40-year veteran of the Perry Hy-Vee, will be congratulated at a free public retirement party Saturday, Nov. 10 from 1-3 p.m. at the Perry Hy-Vee. After 40 years in the Hy-Vee bakery, Karen Martin will enjoy a retirement send off Saturday, Nov. 10 from 1-3 p.m. at a public party at the Perry Hy-Vee at 1215 141st St.
Vodenik said Martin’s photo is gracing the side of a Hy-Vee semi-tractor trailer, which will be on display at Hy-Vee during the Saturday party, weather permitting. Martin has worked at Hy-Vee since 1977, the year the store opened in Perry.